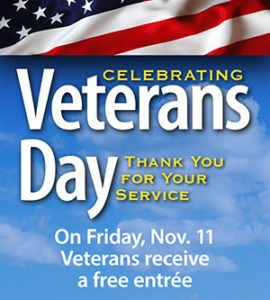 Ivar’s and Kidd Valley are offering veterans a complimentary lunch or dinner on this upcoming Veteran’s Day, Friday, November 11. This will take place during normal business hours for both restaurants at multiple locations throughout Washington. For a complete list of locations, visit Ivar’s online.